News More on this topic. Mr Jian Jin, Latrobe University, received the IPNI scholar award from Dr Norton at the Australia and New Zealand Soils Conference. 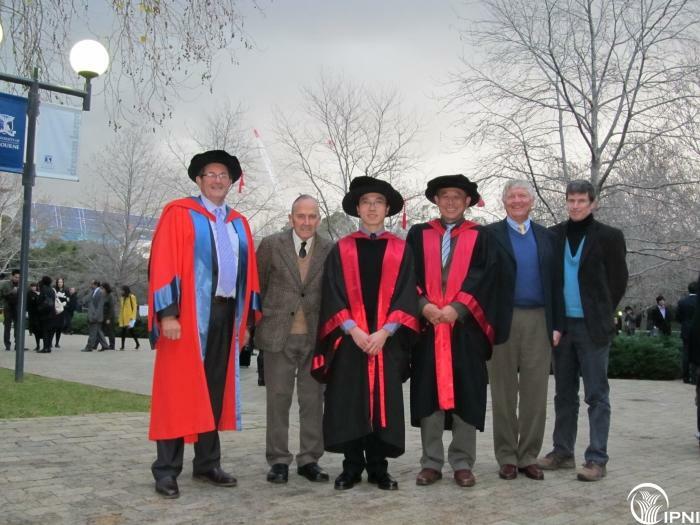 Mr. Jian Jin is pursing his Ph.D. in Agronomy at La Trobe University in Melbourne, Australia. 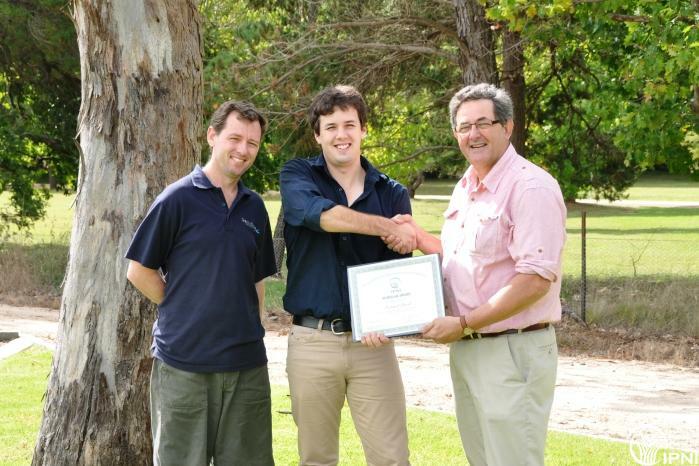 His dissertation is titled “Effect of phosphorus supply on plant P acquisition under elevated CO2,” which aims to investigate the mechanisms of P and CO2 interaction to devise appropriate strategies for P fertilization of farming systems in response to climate change and variability. 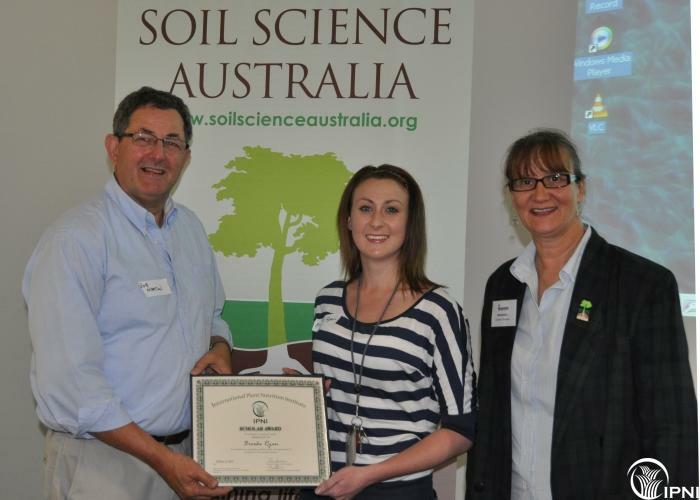 With an improved understanding of the rhizosphere processes under elevated CO2, management of soil quality and crop productivity in farming systems could be optimized and may become more predictable with climate change. Mr. Jin wishes to develop his research capabilities further by studying how legumes physiologically respond to nutrient-defi cient soils, and the processes of plant-soil-microbe interactions. 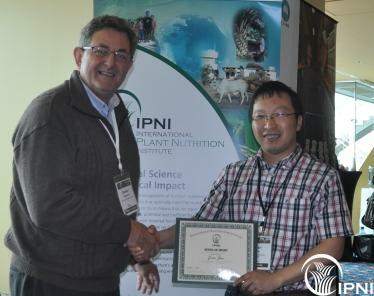 Mr Jin was presented with the IPNI scholars award at the Australian and New Zealand Soils Congress, held in Hobart, Tasmania, Australia, on Thursday December 06, 2012. The second recipient of the award, Ms Humaira Sultana will be presented with her award in the near future. 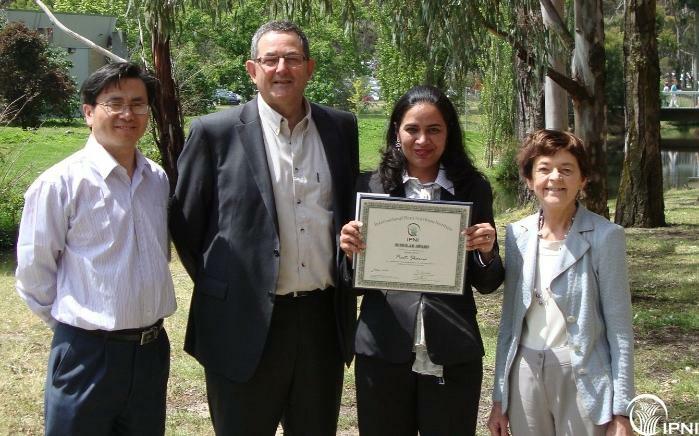 Ms. Humaira Sultana is working toward her Ph.D. degree in Agronomy at The University of Melbourne in Melbourne, Australia. Her dissertation title is “Nitrogen fertilizer management–an integrated approach to enhanced efficiency fertilizers.” The major objective of this study is to evaluate the management potential of fertilizer related strategies with emphasis on enhanced effi ciency fertilizers (EEFs) and related products like urease inhibitors and nitrification inhibitors in both pasture and cropping systems. Since the response mechanism of EEFs is very complex and demands a comprehensive system-based approach, this research combined quantitative analysis, experiments, and modeling to address N related issues in Australian agricultural systems. For the future, Ms. Sultana’s goal is to pursue a career in research working on the agronomic management of cropping systems.